OMG! 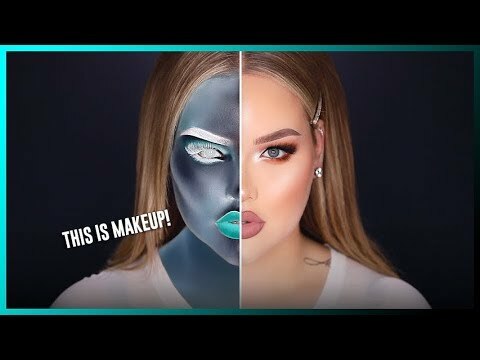 This has got to be the hardest makeup look I?ve ever created! Today I?m taking the challenge to create my look in an inverted/negative style! ALMOST LIKE AN X-RAY! Wonder what happens" Keep on watching! Oh, and I share your spooky, unique and most of all funny medical stories! Enjoy!!!
? PREVIOUS VIDEO ? The ULTIMATE Green Look! GREEN MAKEUP CHALLENGE 2.0 ? https://youtu.be/5UYfpFqHGFI ? Discount Code: Nikkie This discount code does NOT expire. Huda Beauty Lip Contour ?Trendsetter? Pat McGrath Liquid Lipstick ?Femme?